FILLER: Dominican Habano 92, Nicaraguan (Esteli & Jalapa) & Penn. 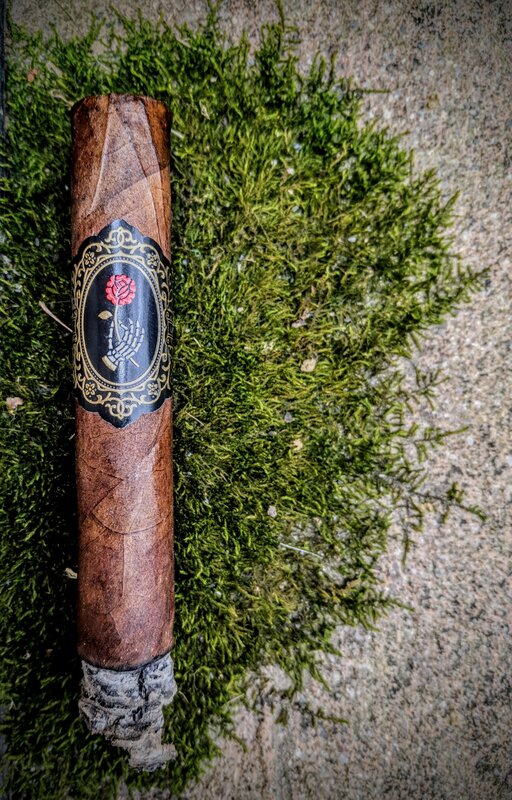 La Madrina is a theme-centric cigar from Dapper paying tribute to the traditional Latin American holiday Dia de los Muertos or "Day of the Dead". This seems to be a common (and easy) homage many different cigar brands include in their portfolio - Las Calaveras from Crowned Heads, Santa Muerte from BLTC, etc. Reith (Dapper's head honcho) took the theme an extra (and appreciated) step however. "La Madrina" literally translates to 'godmother' and is a reference to Yolanda Garfias Woo, a San Francisco woman who served to educate many locals about the holiday. Personally, I feel like this added touch shows Reith's effort to develop a more well-rounded and unique take on the whole Dia de los Muertos thing. Straight from Ian Reith (via Halfwheel), he notes the concept of La Madrina provides him "a personal reminder to ... live life to the fullest extent knowing at any time death can be right around the corner." 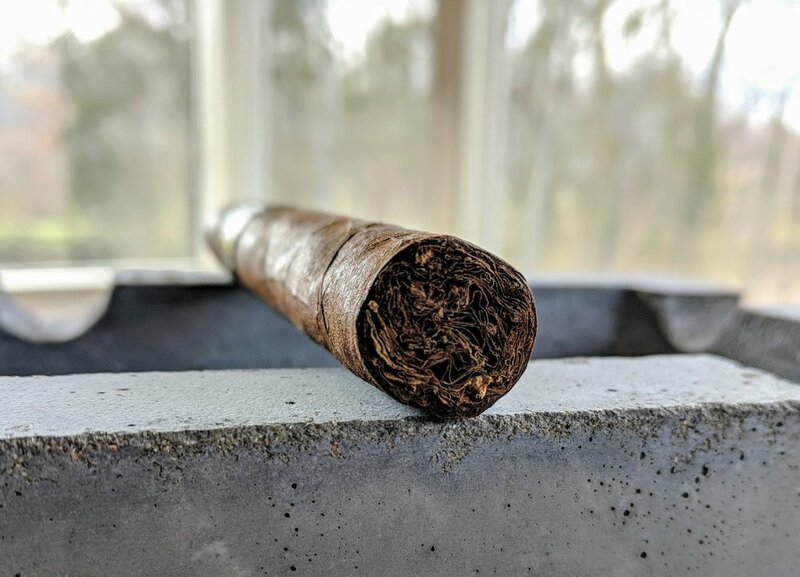 Just to breakdown the blend a bit - the wrapper is from Oliva's La Luchita farm; the filler is four-part - Pennsylvanian broadleaf, Nicaraguan - from Guadalupe farms in Esteli and Cofradia Relleno farm in Jalapa, and lastly Dominican 92 Habano. Lots of regions and leaves involved in this blend to be sure. Ian remarks that he considers La Madrina the perfect cigar for the seasoned smoker looking for something complex and intense. 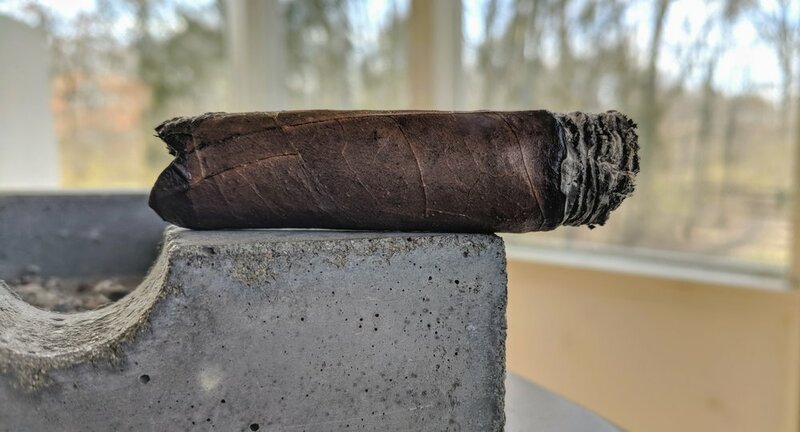 Apparently there is a maduro mix in the works set to be released next year (2019). The natural version originally used a dark wrapper but Reith nixed in the thought that the maduro and natural would be easily confused. 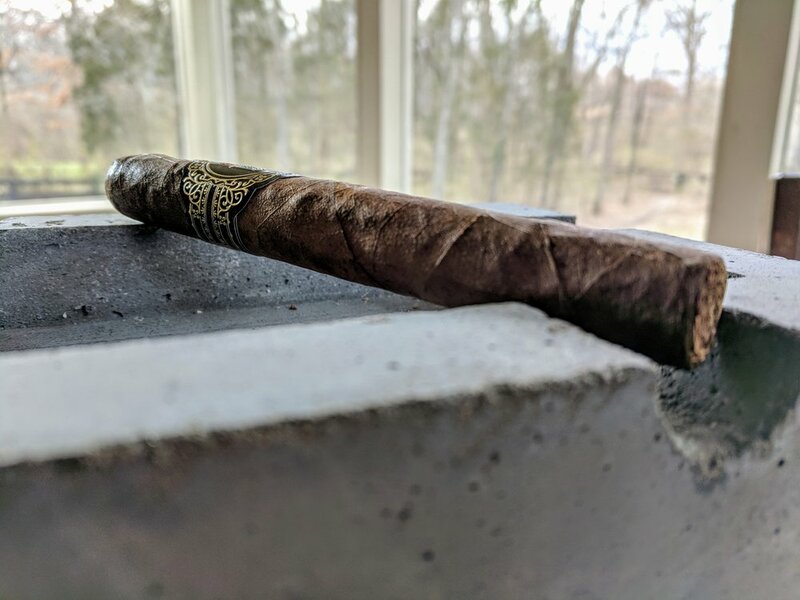 If you haven't yet, read this interview from Small Batch Cigar with Dapper's founder/owner Ian Reith - it's phenomenal and very informative not only to the brand, but to the industry. The blend is a dual-effort between Reith and one of his most-trusted blenders, Raul Dilsa. Disla is a staple in the industry and has been involved with several other Dapper blends. Raul's vast knowledge of tobacco available, blending intricasies and palate have helped him become an unsong rockstar within the cigar world. Prior to becoming the production manager at NACSA, he cut his teeth as a torcedor with Davidoff and head of operations for Torano. This dude knows his sh*t.
This band is instantly iconic. Reith tapped his usual artist, Dan Greta, to develop a band that really captured the concept of Dia de los Muertos - a holiday which focuses on celebrating those that have passed and inherently reminding the celebrants of the joys of life. What better way to capture this notion than a skeletal hand carefully grasping a rose, typically a universal symbol for life. 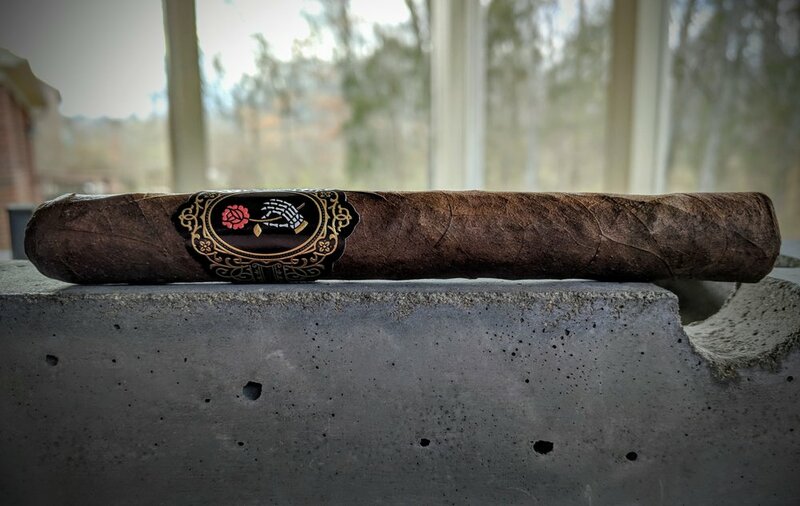 Dapper seems dead set on not just replicating the same ol' bands and branding you've seen throughout the ages - each line of the brand captures a distinct essence that not only accurately depicts the sentiment of the cigar, but captures it in a unique manner. The design is perfectly executed and uses the same metallic process found in many of their bands. Dapper loves using an expensive and very appealing gold powder on their bands that honestly brings a richness to the band unlike the usual foil gold you see. 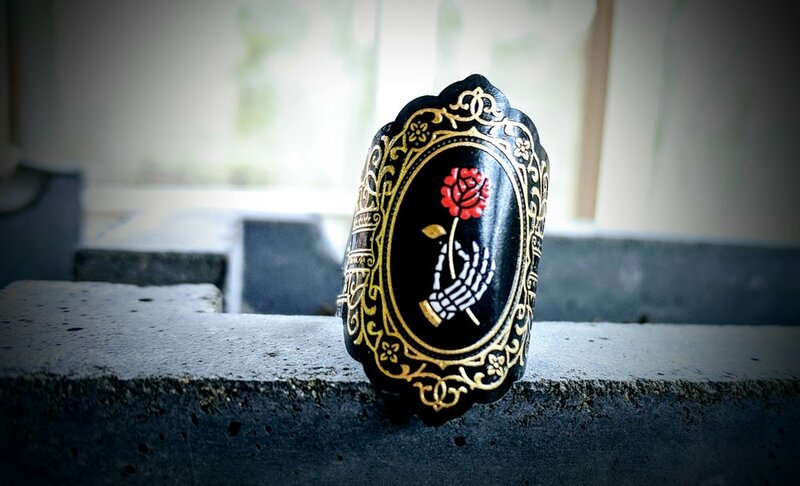 I love Dapper's bands and the La Madrina may just be the best - not only from Dapper but across the cigar industry. The Ecuadorian Habano wrapper adorning La Madrina is a gorgeous dark, velvety brown color with a light, oily sheen to it. The wrapper is quite dark - closer to a colorado than maduro - and has a nice variation from black/brown to milk chocolate brown. The seams are fairly well done but on both sticks I smoked there were areas where the seams weren't completely glued down and had a raise to them. To the casual eye, the seams blend in perfectly and it's really these couple of minor lifts that are the only knock on them. There are also plenty of visible, raised veins running rampant throughout this cigar's body. This is a very firm cigar with only minor give when compressed. 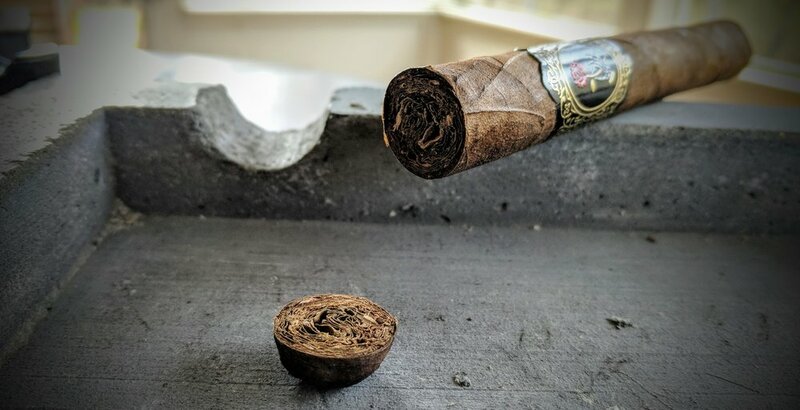 The cap is nicely applied - serving it's purpose to terminate the head of the cigar and sitting mostly flush as it transitions into the body. The shoulders are very well done - dropping deeply and symmetrically. La Madrina's blend is showcased in a densely packed foot. Otherwise, the foot is unremarkable - no complaints but also nothing too much to note. The wrapper and foot give off some very distinct barnyard aromas. There is also some damp, forest-like smell. This smells like a very rich cigar. The cold draw is very open. This is partially my own fault - I typically stand a cigar straight up on the table then snip the tip with a straight-cutter. For whatever reason, this seemed to remove way more of the cap region than I was comfortable with. I'll be smoking a second stick to corroborate my initial review notes with a v-cut to see how it compares. Flavors off the cold draw are emblematic of a stereotypical San Andres wrapped cigar - a nice pop of sweet raisin is at the forefront. The blend seems to bring some cedar and cinnamon roll/Golden Grahams. V-cutting the second cigar produces a nearly perfect draw with great resistance. Same flavorful awesomeness. I put some fire to the foot and the La Madrina lights up easily and evenly. The open draw really brings some heat and definite peppery harshness. In addition, there are some preliminary wood and heavy cream notes. As noted, the draw is too open. In my opinion a good stogie has just enough resistance on each draw. 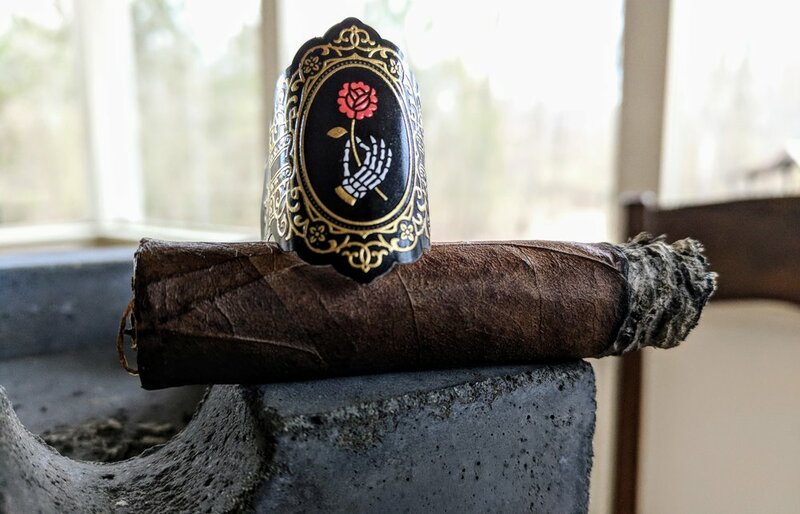 La Madrina, at least how I cut it, has almost no resistance to it and really as much smoke and heat as you want comes blasting through on each puff. The burn is perfect. The deviations that are present are very, very minor - leaving a razor sharp burn line. The first few layers of ash have an interesting brown/tan hue backed by a medium gray with black striations. The v-cut is producing a much cooler cigar to smoke. The draw is open but with enough resistance to be right where it should be. 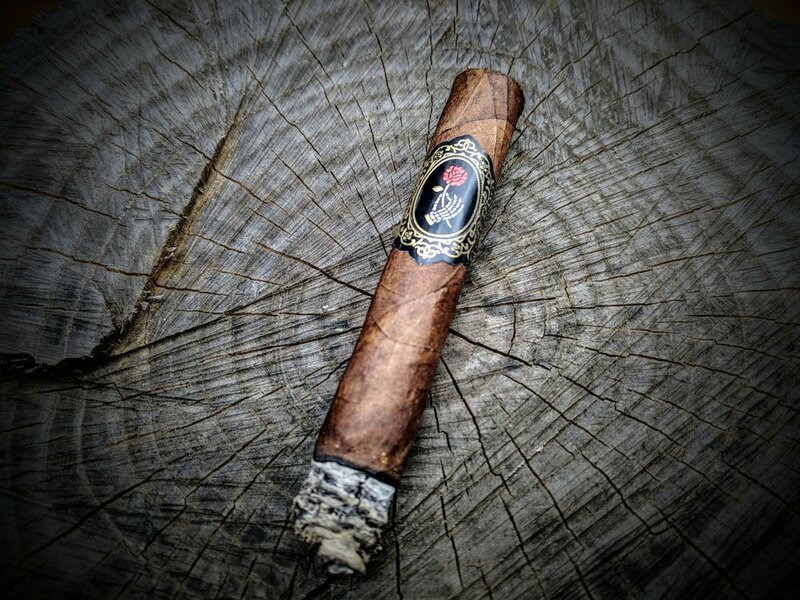 La Madrina puts out a rewarding amount of smoke without being over-the-top or excessive. The smoke is an opaque brownish, white velvety color with a pleasant, peppery aroma to it. Dapper's La Madrina starts with a punch to the palate with a heavy dose of pepper. The pepper pops on the front end and then really lingers as you rest it between puffs. It seems to start light enough on the back of the throat and builds quite a bit as it lingers. In addition, there is a rich, deep meat and maltiness as well as some very strong black coffee mixed with heavy cream. The retrohale really defines the pepper to more of an anise flavor to me, not a black pepper. There is also a faint but present toasted sesame cracker flavor present on the retrohale. Like I've noted a couple times now, the draw is very open. It's probably my own fault - we'll see how #2 smokes. Second Stick Update: The draw really is about perfect now - modifying my initial score to raise it to a "3" from a "2". The perfect burn extends into the first third. Absolutely zero complaints regarding the burn line or initial burn experience. 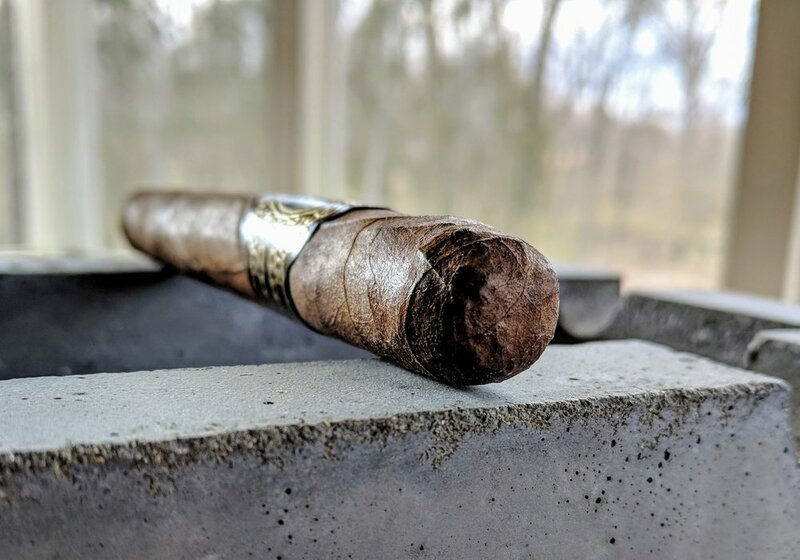 As the cigar progresses, the ash is stacking very nicely with same coloration - black and gray layers with a brown tint throughout. Before I get into the flavor profile of the middle third, I want to note the smoke output went bananas a little before the midpoint. The La Madrina went from mild-mannered typical cigar to Liga Privada coal engine. The flavors of the second third have softened significantly. The pepper that really dominated the first third has dissipated to be almost non-existent. The prominent flavors are gearing more towards the grain-like qualities hinted at previously. There are some toast, maltiness and toasted crackers that pop-out right away. Also, present is a very faint sweetness that is welcomed after the peppery dominance of the first third. The draw continues to be very open but the cigar is not smoking too hot as long as I take my time smoking it. Extended rests between puffs let it cool enough not to completely fry my taste buds. Second Stick Update: Draw is much better with a v-cut. Lesson learned - don't hack the top of the cigar off ... cue eyeroll. The burn line still impresses but at the midpoint of the stogie, it goes out. A quick relight and I'm back in business. I noted that a couple other reviewers needed relights at the middle third as well. My second stick went our at nearly the exact same point. It was a little hard to judge the back half of the middle third in terms of flavor. The relights served to reboot the pepper in a way however, I am getting much more of the anise on the palate that was noticeable on this initial retrohales. Also found some minor chocolate and nutty notes. The final third really seems to bring the strength as well - you can definitely feel the nicotine kick in significantly. In terms of flavor progression or variance, I think this is one of Dapper's simpler experiences. That's not to say anything disparaging, but I've found the Cubo Maduro and El Borracho to provide slightly richer flavors and more natural progression of flavors than the La Madrina. La Madrina really is three acts that open and close the same way - pepper, toast/malt, pepper. I think if the final third would have migrated a new direction rather than reverting to the peppery experience of the first third, I would have enjoyed it more. But all in all, the flavors were prominent offered enough complexity to be interesting and enjoyable. Oof ... the burn. The first and final thirds of La Madrina leave nothing to be desired for quality of burn. The line is crisp, it's not burning too fast/hot (except where I destroyed the cap on one), and all-in-all it's damn near perfect. Then the middle third happens. I smoked three sticks and every single one took a nose dive in the middle third. Especially after the first one went out, I made sure to smoke carefully at the mid-points for the latter two to be sure I wasn't letting it rest too long between puffs. I'll say the performance of the middle third of La Madrina really hurt the overall rating I could give the cigar. 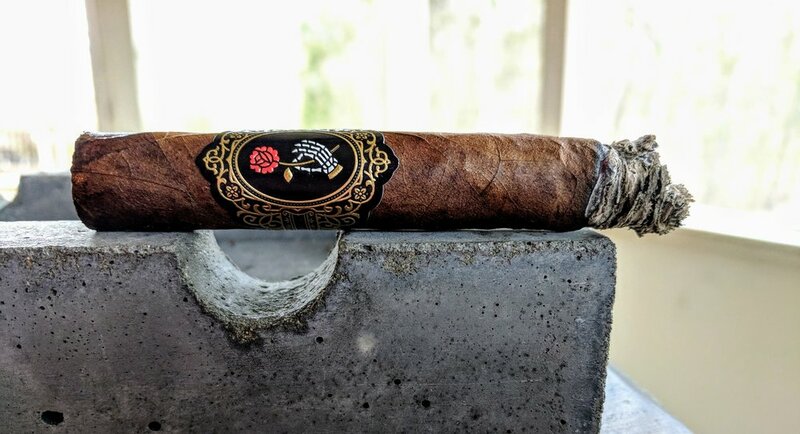 dapper's la madrina has some really fantastic flavors to offer but moments of the smoking experience are truly plagued by major burn issues - primarily relights. I smoked three stogies total for this review and they all had the same issues around the same point. that said, if you're willing to grab your lighter a couple extra times, the flavors and quality of the cigar may be enough to power through any burn problems. I know i will continue reaching for La madrinas without hesitation! I am really looking forward to reviewing this cigar in some additional vitolas to see how the experience varies - watch for updates! La Madrina seems to be all over the board from various reviewers with an average rating of 7.9. Some people seemed to love it enough to bump it to a 9.1 while others were closer to my 8.4. Developing Palates has a relatively unique scoring system but it's worth including. I am really interested to try a few more vitolas of La Madrina - especially the robusto to see how it performs! Want some Dapper stuff to try out? Of course you do! We're partnering with Andrew at Small Batch Cigar and Ian from Dapper to offer a great discount on all things Dapper. Use discount code "BURN1" at check out to receive 20% off Dapper products and, as always, enjoy free shipping. 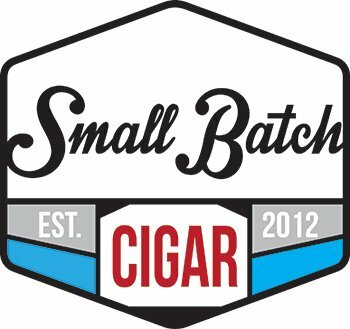 Take a look at Small Batch Cigar and grab something good!